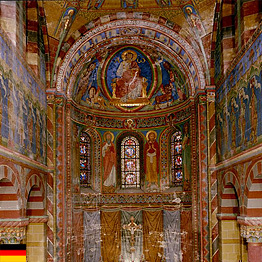 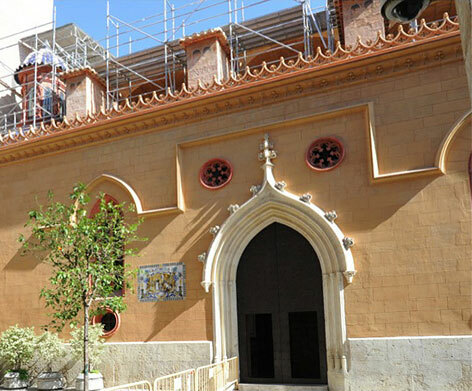 The parish church of St. Nicholas of Bari and San Pedro Martir, declared a national Historic Artistic Monument the 5th of June 1981 (Royal Decree 1757/1981 BOE 08/10/1981), is located in a homonymous square inside Valencia’s historic urban enclave with certain medieval reminiscences. 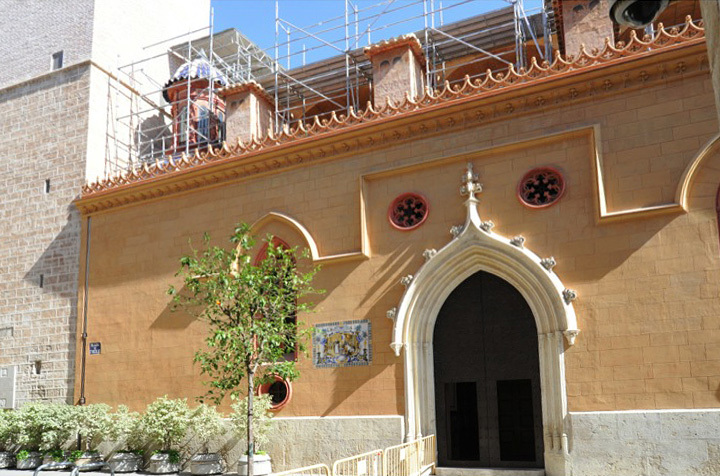 Belongs to the Gothic churches built over an old mosque around mid-thirteenth century, been one of the first Christian parishes of Valencia. 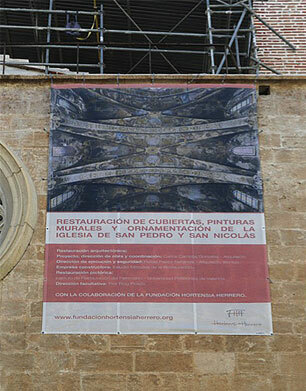 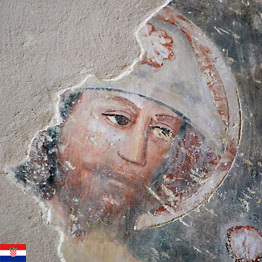 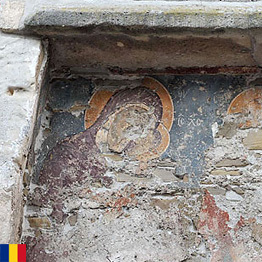 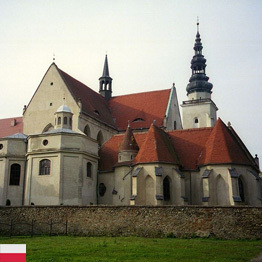 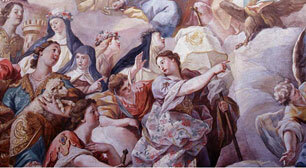 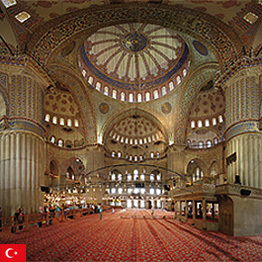 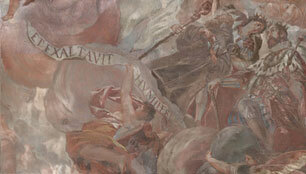 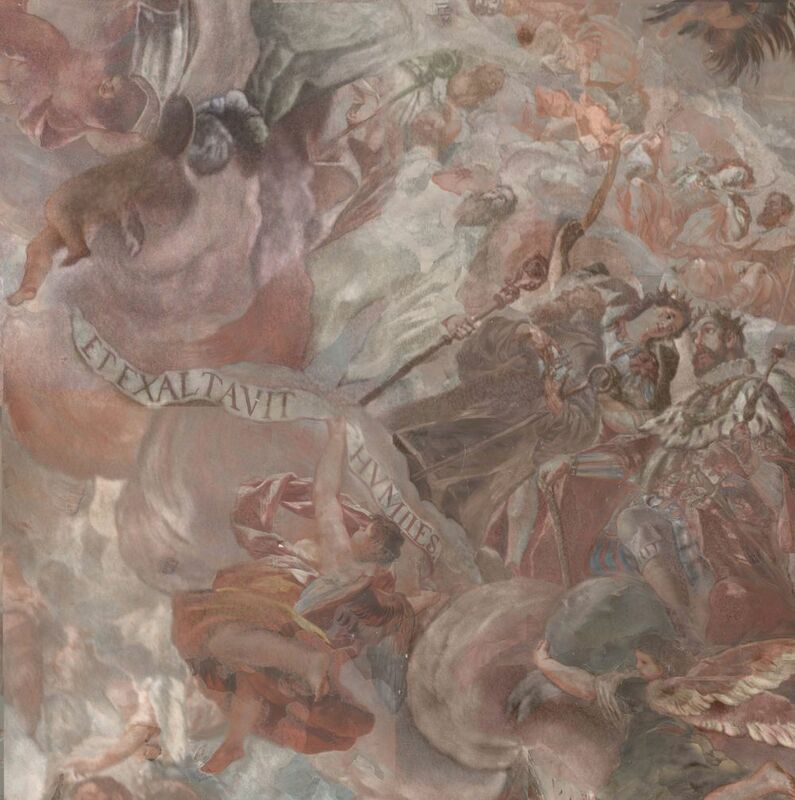 Nowadays a complete restoration and conservation intervention is taking place. 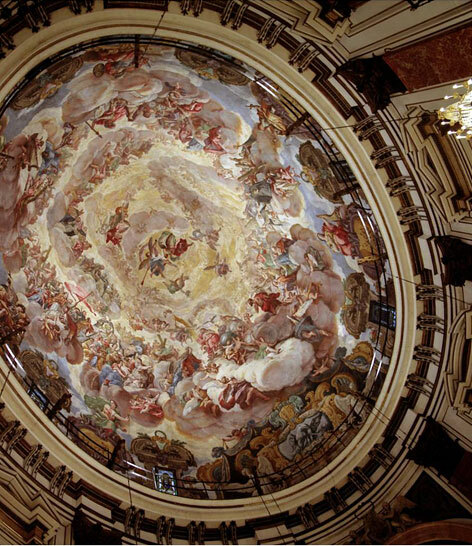 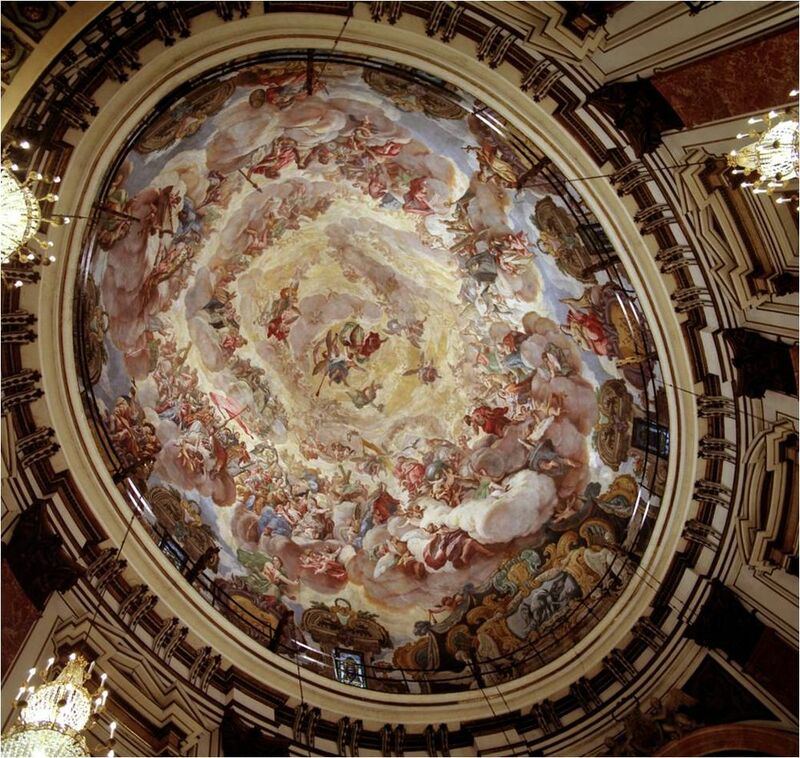 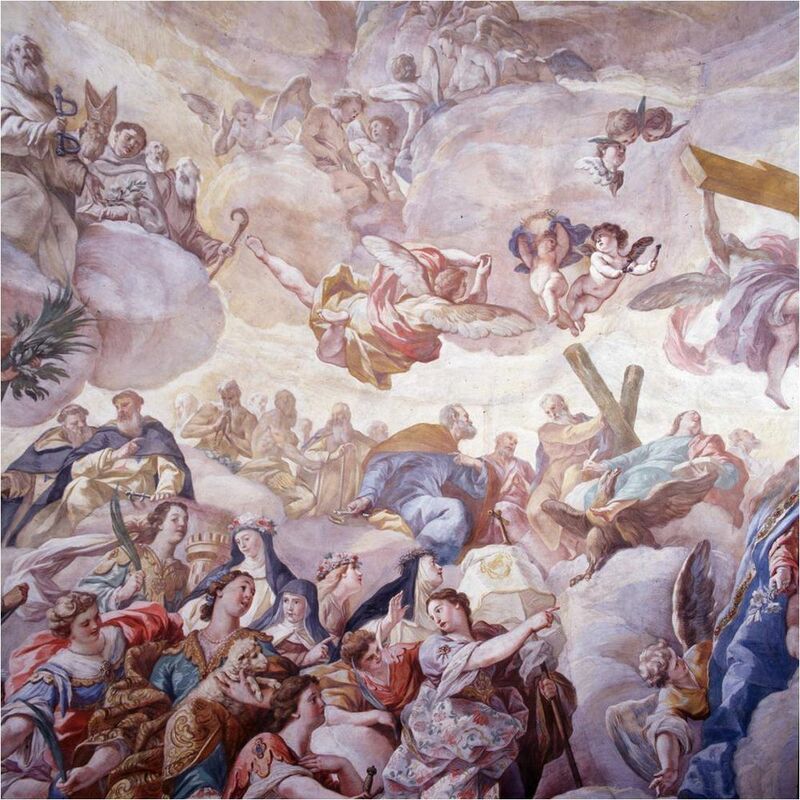 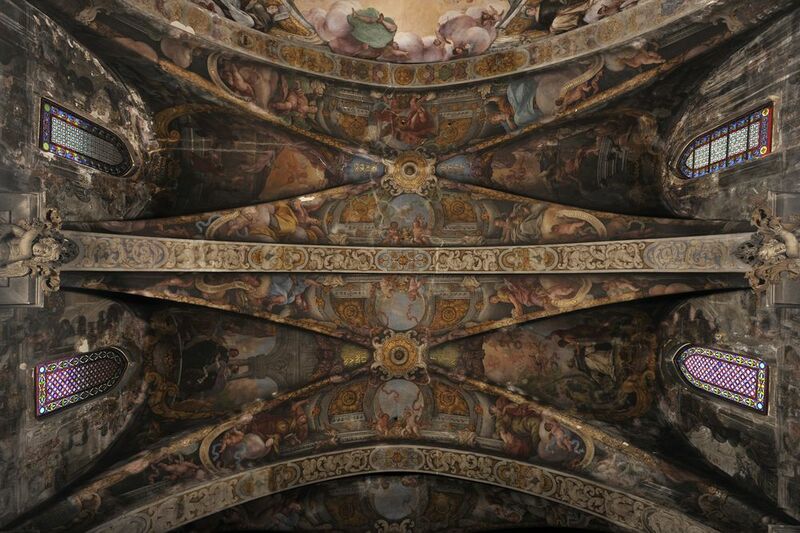 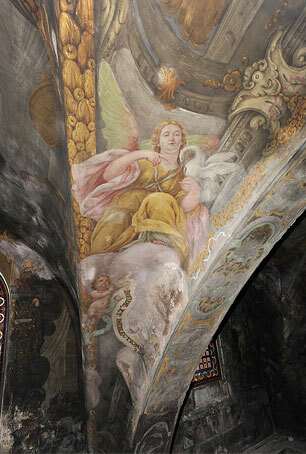 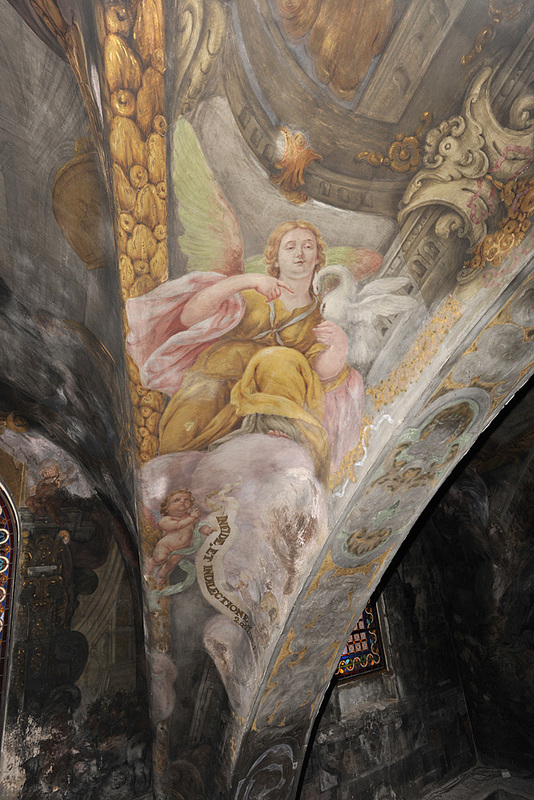 Our team is responsible for the restoration of the Dionis Vidal frescoes and ornamentation present on the church vault and presbytery.